Taken a few days ago. Ireland in full sun growing out of a dry stone harbour wall 3mtr above the sea so must be salt tolerant. Google shows a lot with brown spores but same leaf so they might be the same. 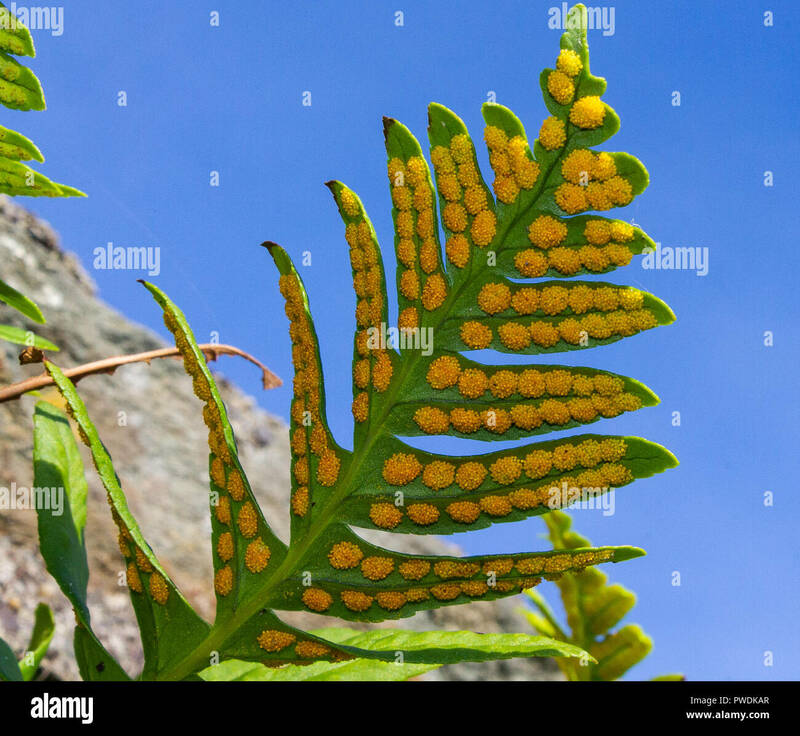 That fresh this late in the year it'll be Polypodium cambricum, Welsh polypody. P. vulgare and P. interjectum (the other two UK natives) produce their fronds and fresh spores earlier in the year. Thanks a bunch John it was growing just above my head on a harbour wall bench, amazing what you see when you look into things rather than at them if you know what I mean.